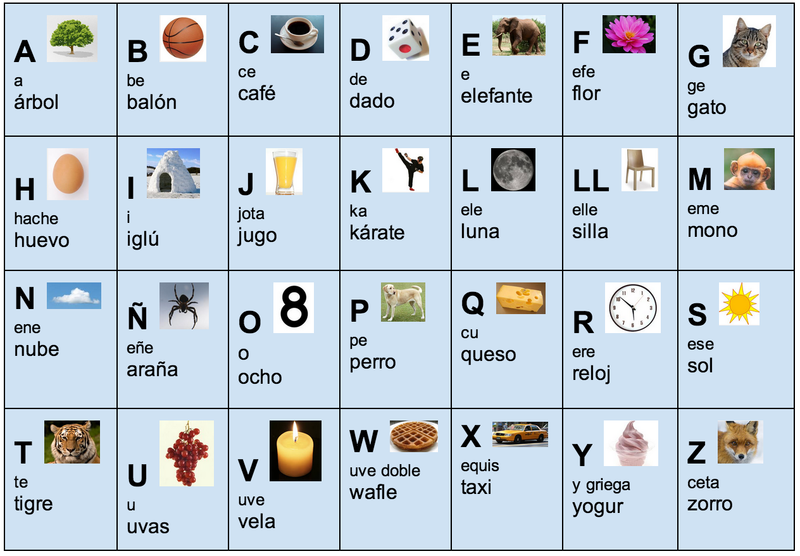 You're learning the Spanish alphabet for 2 reasons. Spanish and English use the same letters. But the letters make different sounds and have different names. 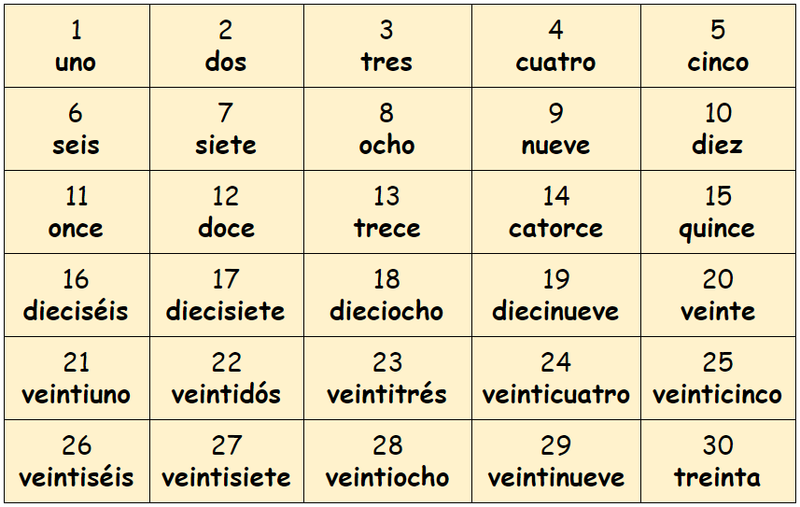 The Spanish alphabet had 29 letters until 2010. It's been reduced to 27. Some people still use the old version; most use the new one. Listen to a catchy alphabet song (old alphabet). You should watch it a couple of times, at least. Try to sing along. Sing along to another catchy alphabet song (new version). Listen to the vowel part of the video, too, near the end. Sing along to a catchy video on the numbers 1-20. Watch a short instructional video on pronouncing 1-15. Once you know the numbers 0-15, the rest is easy. Read aloud the numbers from 100 - 1000. Listen and sing along to the infectious video on 100 - 1000. Tengo cuarenta y nueve minutos hasta la clase de Historia. I have 49 minutes until History class. Hay treinta y dos estudiantes en mi clase. There are 32 students in my class.